Queens Park, Crewe is a residential development being constructed by Kier Living Ltd, which when complete will deliver a variety of 9 high quality and much needed affordable housing units to the area. 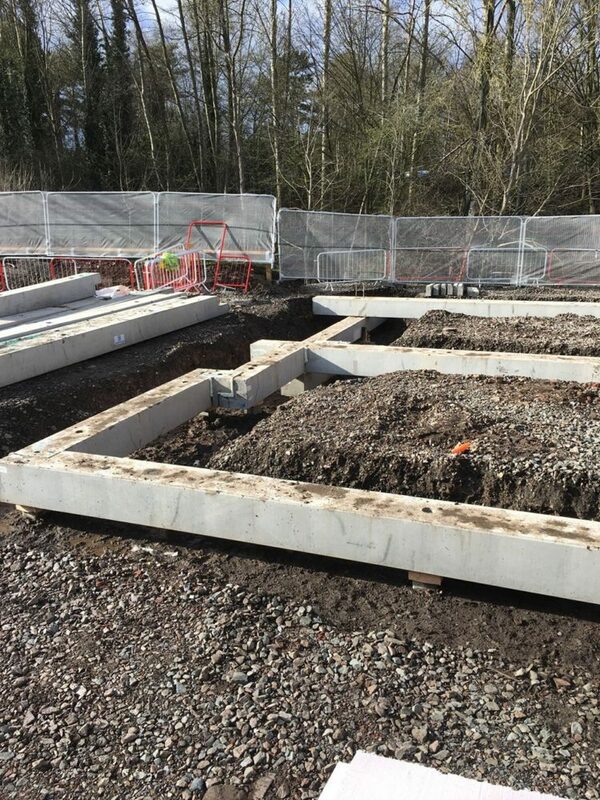 Aarsleff Ground Engineering was awarded the foundation works contract, worth approximately £47,000, by main contractor Kier Living Ltd. Works commenced in March 2016, with the project taking approximately a month to complete. The project was particularly challenging, as there were a number of issues surrounding access conditions and slope issues towards the rear of the site, adjacent to an existing brook. In addition, the site was located towards the end of a busy residential street, on the bend of the road and running parallel to a public park. These issues meant forward logistical planning was essential to ensure minimal disruption to the neighbouring properties and the wider community. Aarsleff was contracted to install approximately 60 no. 200-mm square piles and 7 no. 178-mm diameter driven steel tubular piles, together with 217-metres of 450-mm square ground beams. 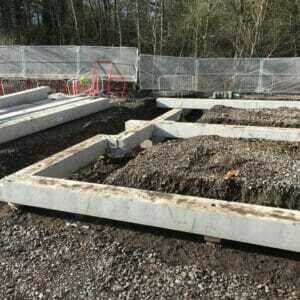 Both piling and ground beam foundations were required for the 9 housing units due to the varying depths of fill / made ground. Due to the logistical issues communication between the client and Aarsleff was essential to ensure readiness for planned road usage. Aarsleff also deployed one of its low pressure bearing rigs to help facilitate the install of the piling element of the works. The project was designed by Aarsleff, together with Kier Living Ltd, and is maintenance-free and not subject to ground settlement. Aarsleff’s innovative Ground Beam system was chosen for the project as it delivers a cost-effective and quick solution, which could be installed as an integrated element of the foundation works activity. This residential install, demonstrates Aarsleff’s ability to add value to a project by working effectively with the client as well as showcasing the capabilities of the company’s Ground Beam system.